Upon reaching at the Kushok Bakula airport in Leh, positioned at an altitude of 3500 m, meet our tour representative who offers you an assisted transfer to the hotel. As you complete the check-in formalities at the hotel, enjoy you welcome drink. Retire in your rooms as the day is scheduled for rest and acclimatization to the high altitudes of Ladakh, which is must. In the evening, enjoy a leisure walk up to Leh bazaar. Whole of day 2 is scheduled for Indus Valley tour, exploring its main attractions. 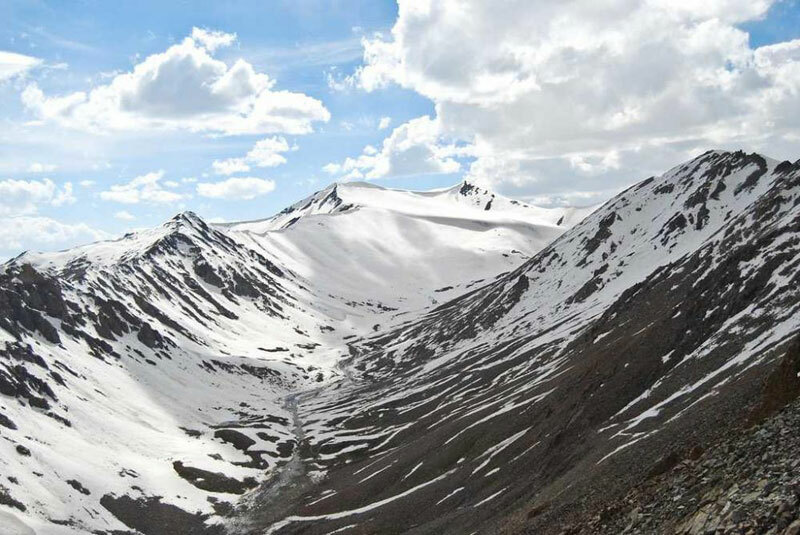 Begin your road journey from Leh towards the Indus Valley. You drive past the Magnetic Hill or the Gravity Hill. 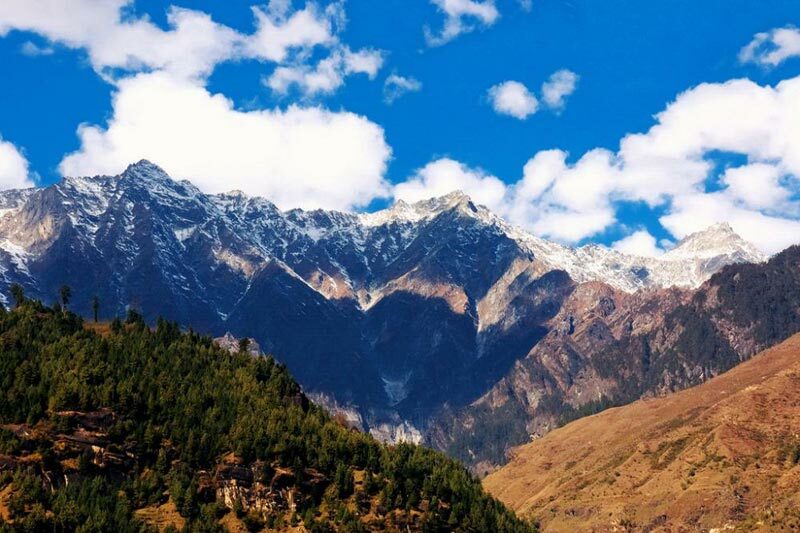 Known for creating an amazing optical illusion, it is one of the best wonders of the Himalayas. Continue the drive. Just before you enter the Indus valley, take a halt and explore the beautiful Nimu valley. The valley has a barren yet charming landscape and is also known for offering rafting experiences. If the weather permits, you can go for rafting in Indus River. Next halt is at Pathar Sahib Gurudwara. Located on Leh-Nimu road, it was built for remembering the visit of Guru Nanak, the founder of Sikh religion to the area. 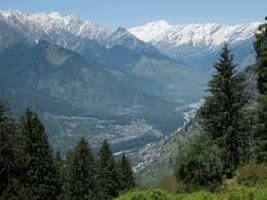 Treat your eyes to the wonderful views of the Indus valley, which also offers adventure opportunities. Return to Leh. In the morning, start driving towards the beautiful Nubra Valley. This is a tri-armed valley, which is located towards the north-eastern side of Ladakh. Around 125 km from Leh, it is one of the most popular valleys in Ladakh, which is dotted with several attraction. As you reach, check-in at a guest house/hotel. Thereafter, get onto a double-humped camel’s back for exploring the captivating scenery on the valley. Camel safari at the Hunder sand dunes is one of the best things to do in Nubra. Continue your sightseeing and visit Panamik village, famed for hot water sulphur springs. Next visit is to the Diskit Gompa. It is the largest and the oldest Buddhist monastery in Nubra. On the 4th day of the tour, in the morning visit Samstanling Monastery, founded around 140 years back. 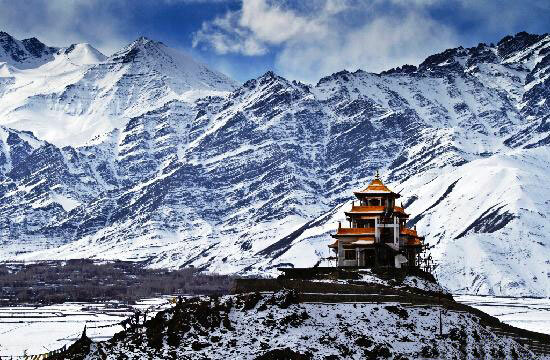 Set in a serene ambiance, this Gompa offers shelter to 50 monks. Later on, start driving back to Leh. You drive past the Khardung La, one of the highest motorable roads in the world. On arrival, check into the hotel. The rest of the day is at leisure. You can explore the nearby attractions, savor local delicacies or visit the local bazaars. The day starts early. Enjoy a full-day excursion to the serene and captivating Pangong Lake, around 135 km eastwards of Leh, after crossing Changla Pass (17500 feet). Continue drive via the villages of Durbuk and Tangtse in the Changthang region of Ladakh. Arrive the Pangong Lake, known for changing its color, with the changing position of the sun. Placed at an altitude of 4250 m, it is one of the largest brackish lakes in Asia. Savor the wonderful views of the surrounding natural scenery. Set up a camp on the banks of the lake. Do not miss a visit to the local village for getting a sneak-peek into their lifestyle and culture. It would be ideal if you leave your beds early today as the views at this time by the lake are simply mesmerizing. Capture the natural scenery in your cameras for lifetime. The rays of the sun make the snow-clad peaks shine like diamonds. Start your road journey back to Leh. On arriving, complete the check-in formalities at the hotel. After this, get ready for sightseeing in Leh. Visit the white-domed Buddhist Stupa, called Shanti Stupa. 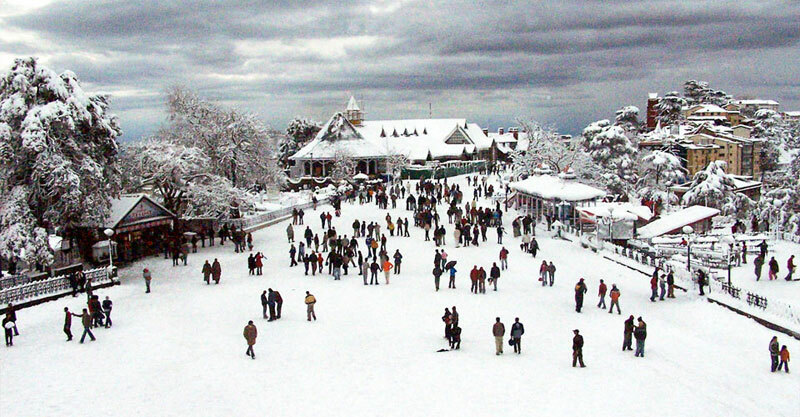 As it is located on the top of a hill, the panorama is magical. Next in line is the 17th century Leh Palace- the former royal palace. The last visit of the day is to the Hall of Fame Museum- built by the Army in the memory of war heroes. 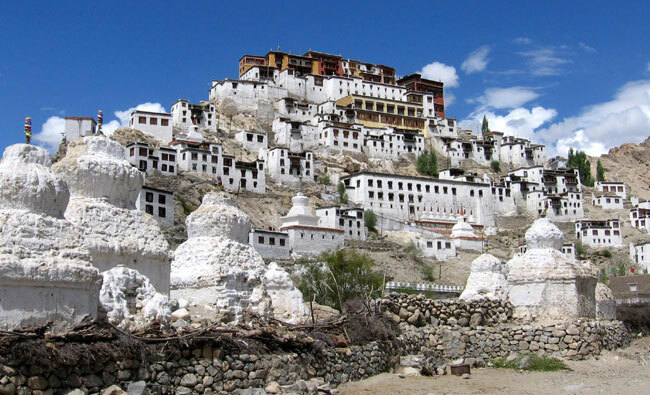 The day is for exploring the popular monasteries of Leh. Every Gompa is not only a place of worship but architectural masterpieces too. 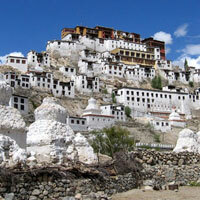 First you visit the largest monastery in the central Ladakh region- Thiksey monastery. Next is the very popular Hemis Monastery. This is the largest and wealthiest monastery in Leh. Continue you monastery tour and arrive at the Spituk Monastery, belonging to the 11th century. The monastery is on a hilltop and boasts of wonderful surrounding views. Shey monastery is another masterpiece in Leh. It is known for having a huge copper and gilded gold statue of seated Shakyamuni Buddha. The lastly visit of the day is to Stakna monastery, belonging to Drugpa Buddhist sect, home to around 30 monks. 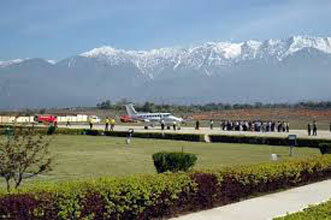 Today, in the morning, get an assisted transferred to the Leh airport for boarding flight for Delhi.